You may have your hands on the steering wheel longer than any other part of your car (hopefully) but even it needs some extra love and care. 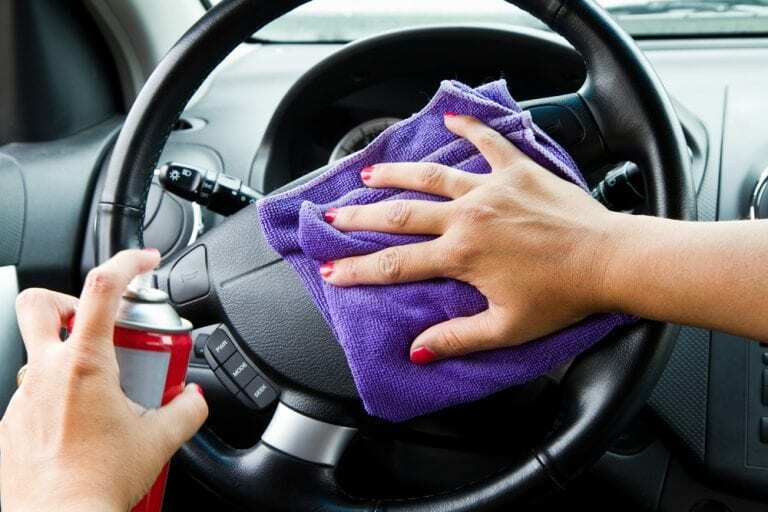 Your dirty hands, sweat, body oils, or clean hands with hand lotion end up making your beautiful steering wheel arguably the dirtiest place in your car. And when you neglect it will crack, peel, lose that smooth and soft supple, and look just plain terrible. First thing is first: remove all that dirt and grime from the surface. Take a damp cotton cloth and ad a dab of leather cleaner (even those for shoes would work) and then gently wash the leather. BE GENTLE. You do not need to rub it in hard and instead just gently bathe the leather. After rinsing that cotton cloth you used with a little water, wipe away the excess cleaner before proceeding to dry it off with a soft towel. The next thing you need to do is replenish the oils in the leather in order to maintain that soft, flexible, and durable feeling. For this you use a leather conditioner. Now here’s the trick: the best tool/material for applying conditioner is … your bare hands. Use a dime sized amount of conditioner into the palm of your hand, and gently massage it into the leather for a minute or so. If the conditioner is doing its job it may even end up softening your hands at the same time. Then allow the oils in the conditioner to be absorbed into the leather for about 30 minutes before rubbing away excess material with a CLEAN towel. 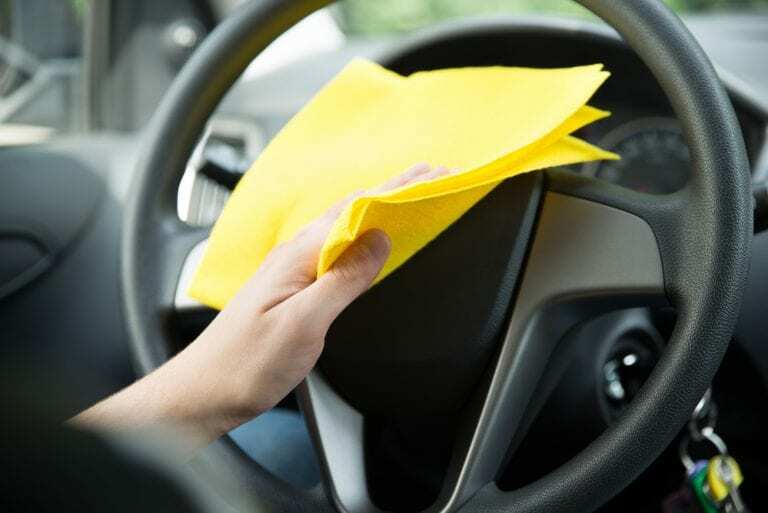 When it comes to cleaning and maintaining steering wheels, we at endurance recommend the convenience that comes from pre-packaged quick wipes. These actually eliminate the need for storing all of those spray bottles and towels. The best part of these pre-packaged quick wipes is that they only have just the right amount of cleaner and conditioner in them so you can worry less about wiping off excess conditioner. 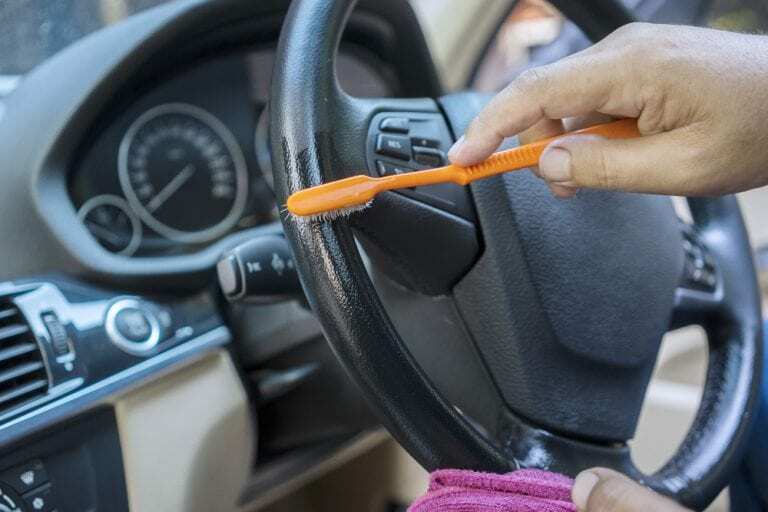 You should always try to make cleaning your steering wheel a regular habit, even if it is not leather. Your steering wheel is always being used and is sensitive to the elements (sun damage especially). This will also help to prevent dirt from getting a chance to build up. 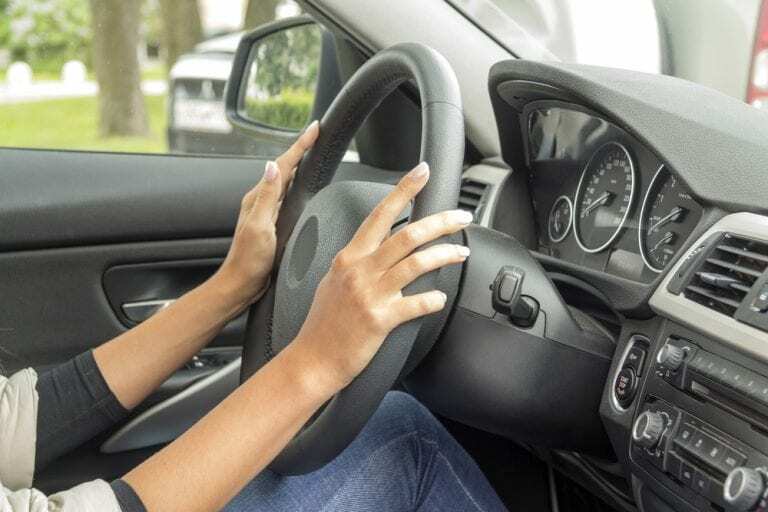 This is a great habit to get into if you want to make sure your steering wheel won’t just continue to look good, it will feel good in your grip as well. Keep in mind that if you are specifically dealing with leather steering wheels that some leather conditioning products can actually end up making your leather steering wheel feel slippery for a few hours. 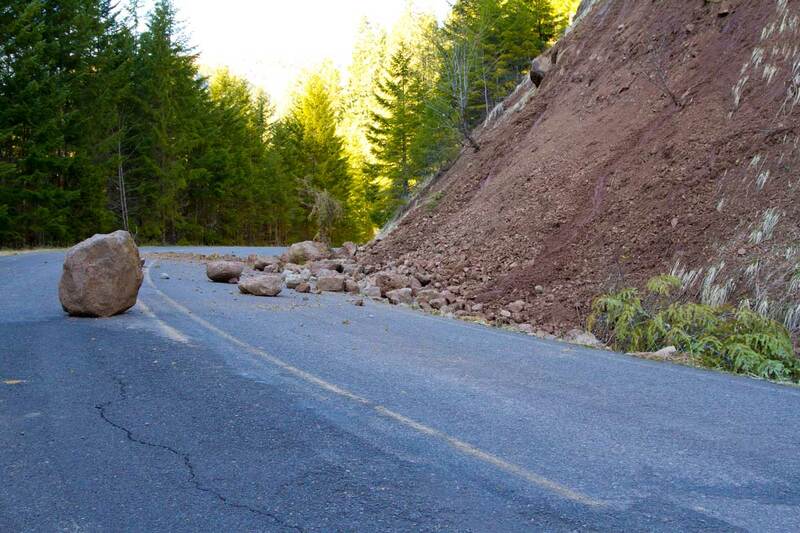 This makes for really unsafe driving. If you do not have the time to spare in order to allowing the conditioner to dry instead try buffing it with a towel.